Martinique was a French naval base in the West Indies. It was decided to capture the island. A force landed on 30 January and Morne Bruneau was seized on 1 February followed, on the 2nd, by the heights of Des Sourier, which was taken thanks to the ‘determined bravery of the whole detachment.’ Battalion casualties were 127. 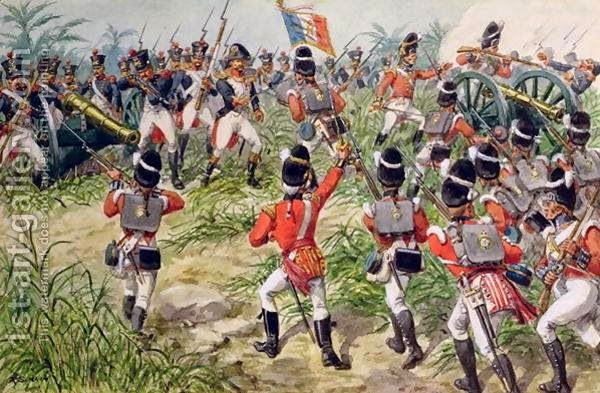 The Royal Welch were awarded 'MARTINIQUE, 1809' as a Battle Honour which to this day is borne on the Regimental Colour. 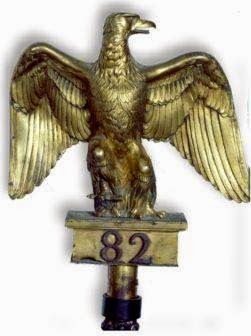 Furthermore, the Napoleonic Eagle standard-the French equivalent of British 'Colours'-of the 82nd Regiment of Infantry, which was captured at Martinique, was presented to the Regiment.